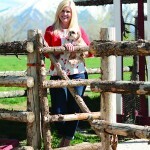 It didn’t take long for Libby Sugg to make a lasting impression on the BYU softball coaching staff. Sugg introduced herself in the best possible way. She won a home run derby on the final day of a BYU softball camp. The Tennessee native got called out of the stands to participate in the home run derby. Each player received five pitches from the BYU pitching coach and was given a chance to see how many pitches they could knock out of the park. Sugg went a perfect 5-of-5 at the plate. She was still in 8th grade at the time. Sugg continues to deliver one big run after another during her debut season for the Cougars. 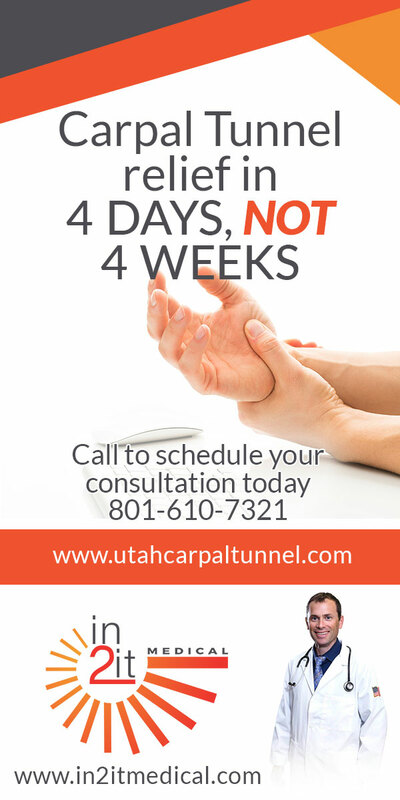 She played a key role in helping BYU (34–18) win its third straight West Coast Conference title and an eighth consecutive conference title overall. The freshman catcher leads the WCC in home runs (17) and RBI (54). She ranks among the Top 25 nationally in both home runs and home runs per game (0.31). At one point during the season, Sugg ripped off home runs in five consecutive games. That stretch tied for the third-longest streak in NCAA history. Sugg credits facing a bunch of elite pitchers during a tough preseason schedule with helping her hone her hitting skills early. 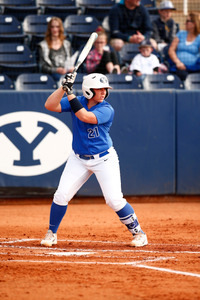 It required her to learn how to pick out pitches more effectively so she could put herself in a position to make big plays for BYU. 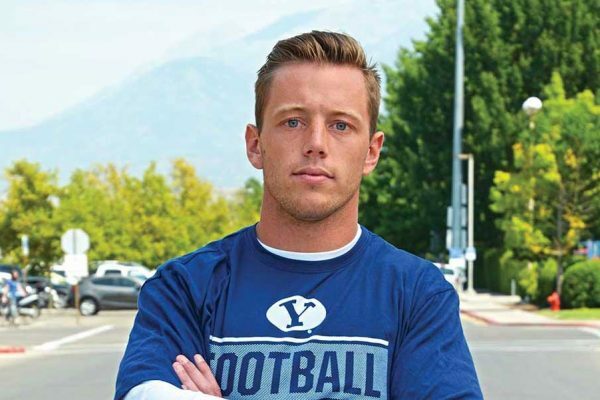 Before arriving in Provo, Sugg made a goal to become a starter with the Cougars. She prepared herself by playing club ball with the Birmingham Thunderbolts last summer. The Thunderbolt roster was stacked with Pac-12 and SEC signees, much like other club teams she faced. 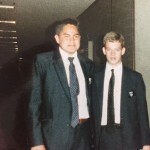 Playing with so much elite talent helped Sugg hit the ground running at BYU. She got a taste for what she needed to do to be a starter from day one. And it drove her to make it become a reality. Her playmaking ability as a hitter and a catcher have earned Sugg plenty of respect from older teammates. She has proven herself through clutch performances in big games. Eakin described her as a humble and coachable player. Sugg has a positive attitude when at-bat or catching and it rubs off on everyone around her. 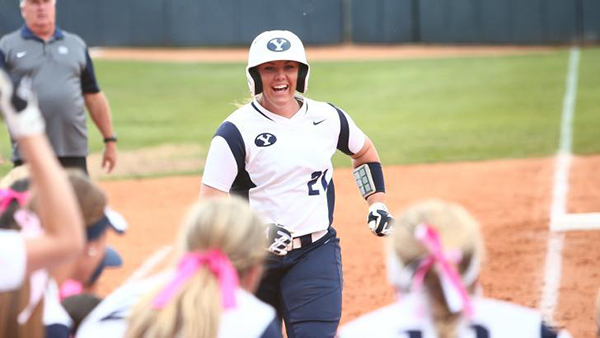 Sugg is just the second player from Tennessee to play for BYU in softball. 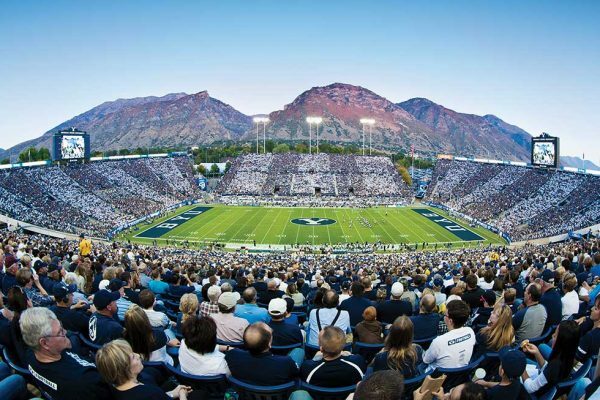 The Cougars faced a stiff recruiting battle to bring her to Provo. During three seasons at Franklin High, Sugg totaled 37 home runs, 137 RBI, a .530 batting average and a .705 on-base percentage. She raked in scholarship offers from several SEC schools — including her home-state school Tennessee. It eventually came down to Tennessee and BYU. 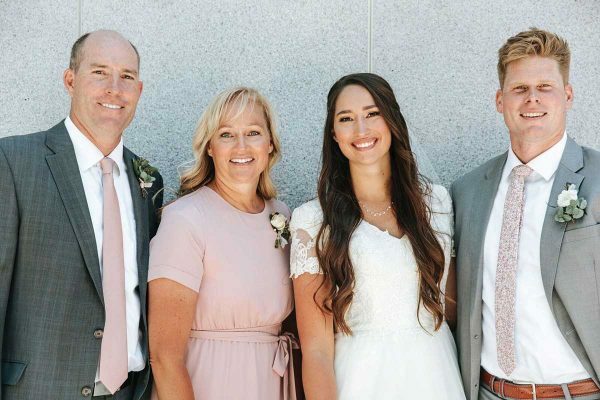 In the end, Sugg chose the Cougars over the Volunteers because she couldn’t shake the feeling that she just belonged at BYU. Sugg will have a chance to deliver some more memorable experiences when BYU heads to Missouri for the NCAA Tournament this week. The Cougars are participating in the Columbia Regional with Missouri, Nebraska and Louisville and will face the No. 15 Tigers on Thursday at 6 p.m. MT on ESPN2.